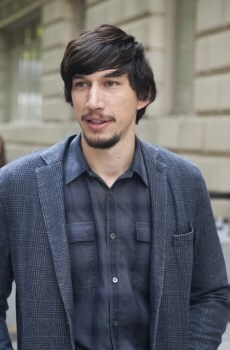 Adam Driver of Girls fame is lined up to play a Darth Vader-like villain in J.J. Abrams' upcoming Star Wars: Episode VII. Adam Driver may not cut the most imposing figure ever but the word on the street is that he's close to signing up to play the Big Bad in Star Wars: Episode VII. Variety has reported that while the deal isn't signed, it's "close," making him the first cast member of the film to be (sort of) confirmed. Driver has been busy in recent years, appearing in films including Lincoln, Inside Llewyn Davis, The F Word and several not-yet-released projects. He's also a regular on the HBO series Girls, which reportedly caused a delay in the casting: Disney and LucasFilm both wanted him for the job but were concerned about scheduling issues between the show and Star Wars, not just for the current film but in future installments as well, suggesting that Driver's character will be more durable than the one-and-done Darth Maul. Confirmation of Driver's signing (and, hopefully, the role he will play) is expected within the next few days.